OhMyVera! 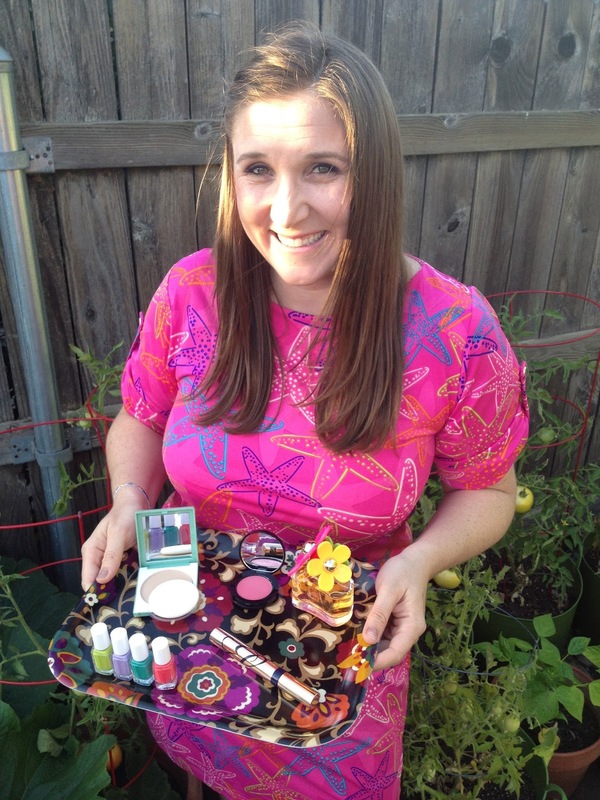 A blog about all things Vera Bradley: Summer Beauty Giveaway from Ebates! Today is officially the first day of summer and I am so glad that it is finally here! You can kick off summer with Ebates Summer Beauty Week now through June 27th. Lots of stores have double cash back for your online purchase like Nordstrom, Sephora, Ulta, and more! Also Ebags is currently 12% - Shop for Vera Bradley bags! I am excited to share some of my must have summer beauty items with you AND give you a chance to enter to win a set of your own thanks to Ebates! Check out my favorite items below and then enter to win by Thursday night. Here are my Summer Beauty favorites! They are all from Nordstrom.com. They have free shipping and free returns, plus right now they have double cash back through Ebates! I'm wearing the make up, but the sun was a little bright to be able to see it well. 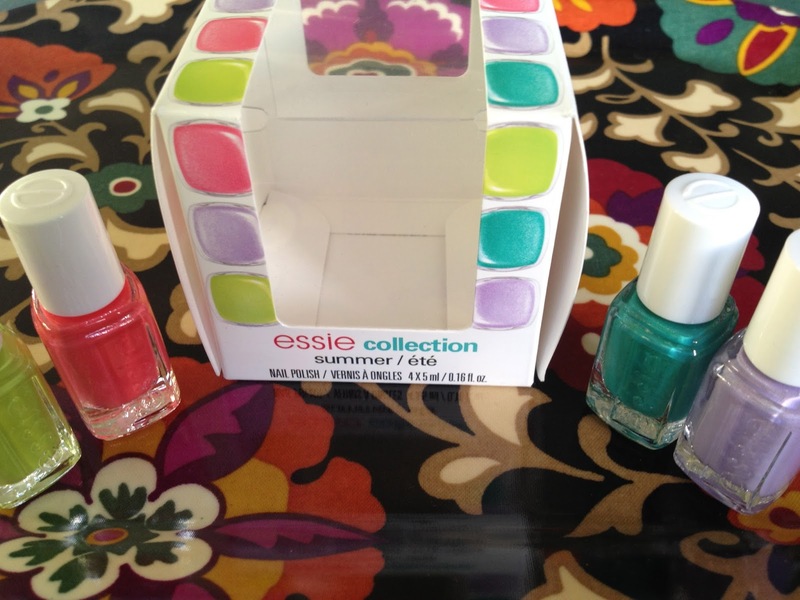 I love kicking off summer with a mani/pedi and nail polish from Essie's summer collection is perfect! I love these colors, they remind me of Vera Bradley's Tutti Fruitti! The colors included are Naughty Nautical, Sunday Funday, The More Merrier & Full Steam Ahead. My favorite make up in the summer is Clinique's Almost Powder Makeup with SPF 15. 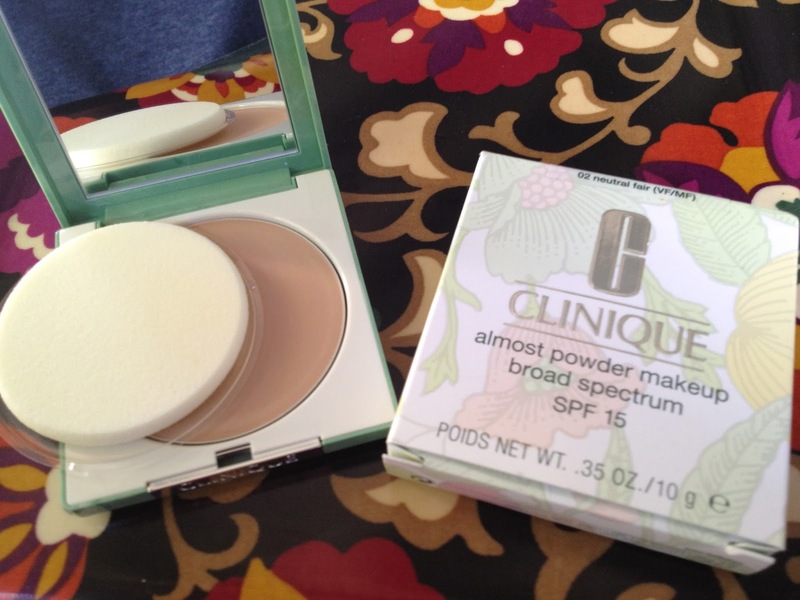 It is lightweight, giving me the perfect coverage for summer time and with my fair skin I appreciate that it has SPF 15. Every little bit helps! Bobbi Brown's Pot Rouge for Lips and Cheeks is amazing because one compact has you covered for blush and lip tint. I love that I can throw it in my purse and go! 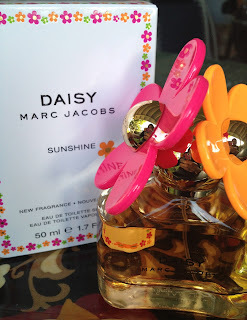 I think summer time is a great time to try a new perfume, so this summer I picked up Marc Jacobs Daisy Sunshine. It is a limited edition just for the summer and the scent is light and fresh! Here is the official description since they say it better than I do: A sun-kissed expression of the iconic Daisy fragrance, Daisy Sunshine is a vibrant floral fruity. Radiant and sparkling, the fragrance captivates with a mood-brightening infusion of juicy red fruits. The heart blooms with optimistic notes of vivid spring blossoms and tender lychee, then dries down to a velvety base of blushing apricot skin and musky woods. Enter to win my collection of Summer Beauty Essentials, Vera Bradley tray not included ;) Remember to use Ebates for all your online shopping and take advantage of their double cash back at participating beauty retailers this week! My fav summer essential this year are the 24 hour Maybelline color tattoos. LOVE The creaminess of the shadows and love the staying power and all the awesome colors! I can't live without my Benefit creamy eyeshadow in birthday suit. It's the perfect base to any eyeshadow or great to wear with just mascara. My fave essential is lipstick. Always have some with me. My favorite beauty essential is CoverGirl Smoothers Concealer. It's my favorite concealer ever and there isn't a day that goes by that I don't use it! My favorite beauty essential this summer is my Ulta concealer and brown eye pencil! My summer beauty essential is a good chapstick to protect from the sun and sand! One of my favorite is the pink lemonade from Bonne Bell - a total summer flavor! I only wish it had spf. i absolutely love my Chubby Stick Moisturizing Lip Balm from Clinique. It is better than just plain chap stick and adds color to your day! My favorite summer beauty essential is toenail polish - preferably after a pedicure! My summer beauty must have would be Baby Lips Quench. It moisturizes and add the perfect ammount of shine, plus it has spf 15! I love Essie Polish, such cute colors!! My summer beauty essential is fun sunglasses - different shapes, colors, and sizes! I love Almay's dual ended eyeshadow sticks. 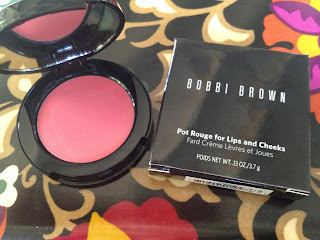 Great for mornings that I don't want to put too much makeup on when it's hot! I love my Clinique foundation. And their cream eyeliner in Starry Plum! Love the Essie and the Clinique!! i love china glaze and opi nail polish! Fun give a way. The mascara intrigues me. I'd love to try it. Mine would be mascara ... even on the most hectic days when time is sparse you can put a little mascara on and still look good. Oh- I cannot leave the house without my EOS lip balm! My beauty essential all year round is a brow pencil. I use the Mary Kay brow definer pencil in brunette. My brows are pretty sparse, so filling in with the pencil gives my face (especially my eyes) a whole different look. My favorite beauty essentials is lipbalm with lipgloss on top! I LOVE my Vaseline lip balm. Plain and simple. My favorite beauty essential is my Rimmel eye liner. Mascara! I won't leave the house without it. I'm not particularly loyal to one kind over another, I usually use whatever was in the last gift with purchase I received. That being said, I was pleasantly surprised with (and currently loving) the Ulta Amped Lashes. My absolute FAVORITE product is the Essie Collection!! Everytime i go to find one they stores are sold out! I don't leave home without my Bare Minerals foundation. That stuff works like magic for me! If we're talking essential I'd go with chapstick--always carry those around. But, I collect nail polish, especially any crazy names on OPI. My favorite beauty essential is hair gel. My favorite essential is BB cream! My favorite beauty essential is great nail polish for fun summer toes! I'm a big fan of Origins Ginger Scrub! Love nail polish for the summer - love to change up the colors!